The newsletter for August 2015 has been uploaded to the Newsletter page. I went light on the photos this month, as all of my Nationals photos have been added to the photo gallery site, per my recent post. 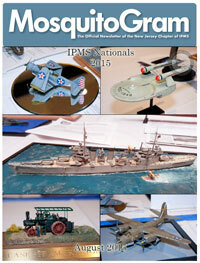 Also, the website for the IPMS Nationals 2016, in Columbia, SC, is live. A link has been added to the Upcoming Events page. **UPDATE** The meeting time at Schmidt’s will be 5p.m. Remember, this is a club member event. Others (family, friends, etc.) are welcome to join us, but the club will only be covering the tabs of dues-paying members. This is purely a matter of finances, nothing more. Secondly, Mike Pavlo and Marc Rocca have been to Avenel recently, and offer this report: The last day of business will be 7/31/15 (earlier it was posted as 7/28, but he’ll be open thru 7/31). Store Hours for July 29, 30, 31 are 11:00am-9:00pm. Currently all books are buy one get one free. All paints are now discounted too. Kits are 30% off. Also buy 2 kits at regular price and get 2 kits of equal or lesser value for free. We continue to add more information for MosquitoCon 24 to the website. We’ve added the list of vendors that have donated to the show raffle, and updated the list of trophy sponsors. There are still trophy packages left to sponsor, just $35 for a mention on this website, a link to your own website, and mention at the show’s awards ceremony. Contact Us if you would like to purchase a sponsorship. Continue to check back over the next few days for a list of the vendors attending, and any further information that comes in. 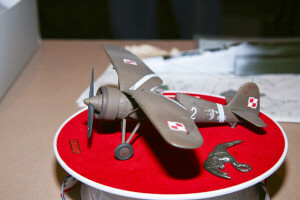 A review of the 1/72 Dakoplast Sikorsky S-16 has been added to the Reviews section. The January 2015 newsletter has been added to the Newsletter page. The Upcoming Events page has been updated with flyers and/or links for the upcoming Celebrate Modeling day on January 31st in Fairfield, CT, and for the upcoming Replicon 27 on April, 11th, in Freeport, Long Island. A page for photo links to our offsite hosting for large photo features has been added to the Photos page. And, finally, for those who are counting the minutes until MosquitoCon 24, we’ve added a counter to the Home Page that counts down along with you. The Modelfest show that was scheduled in Runnemede, NJ, this coming weekend, October 18th, has been CANCELLED. Evidently there has been an issue with renovations at the host hotel that have gone over schedule and facilities will not be available. Thanks to Mike P. for the information. The NJHMA show is Sunday September 7th this year. 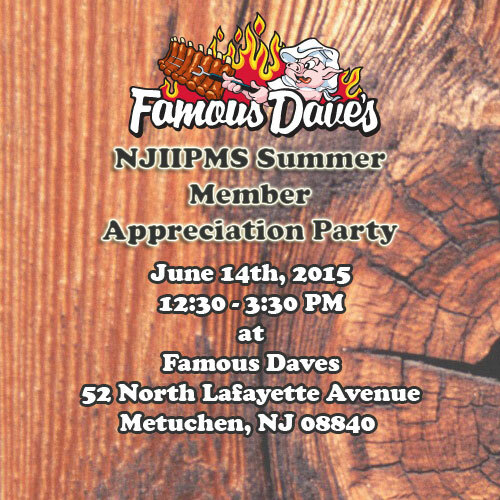 NJHMA always supports MosquitoCon, and they’re local, so please attend and support them if possible. You can get the show flyer HERE, and visit their website by clicking the logo above.